The National Sheriffs' Association recently honored three Kennebec County deputies for their bravery and meritorious service. AUGUSTA — The National Sheriffs’ Association recently honored three Kennebec County deputies for their bravery and meritorious service. Cpl. G.J. 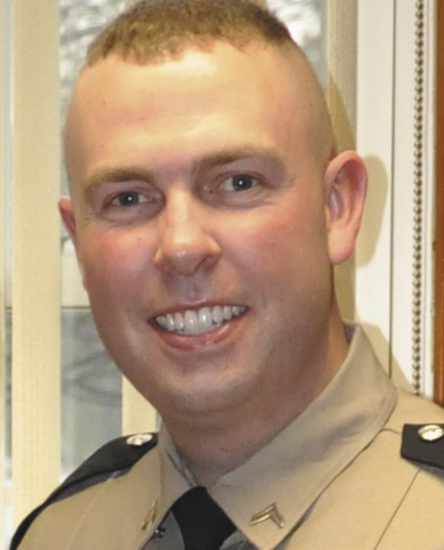 Neagle earned the National Sheriffs’ Association’s Medal of Valor and Medal of Merit, Kennebec County Sheriff Randall Liberty wrote in a release. Cpl. K. Scott Mills and Deputy Jeremy Day were awarded the association’s Medal of Valor. The Medal of Merit is given for contributions to the community and in law enforcement and criminal justice, according to the National Sheriff’s Association website. The Medal of Valor is given for an act of outstanding personal bravery that put the deputy’s life in jeopardy in the line of duty. The men were honored during a ceremony held April 25 at the Belgrade Community Center for All Seasons. Mills and Day were recognized for their efforts to save a Chelsea teen after a fatal crash on Route 17 in Windsor on Nov. 15, 2012. A 1989 Buick Reatta, which had been operating at a high speed, sparked a three-car crash that left the Reatta’s driver dead and a teenage girl trapped inside the burning car. Mills doused the flames with a fire extinguisher as Day tried to pull the girl out the passenger’s side window, but her leg was caught by the damaged dashboard, Liberty said. Day broke the car’s back window in an effort to free the teen. The teen was taken by LifeFlight to Central Maine Medical Center in Lewiston with critical injuries from which she has since recovered. Three other people also were taken to the hospital with various injuries. Day suffered minor cuts and burns to his hands and forearms. “During this incident, Deputy Day and Cpl. Mills, with great disregard for their own personal safety, saved the life of the young lady,” Liberty wrote. 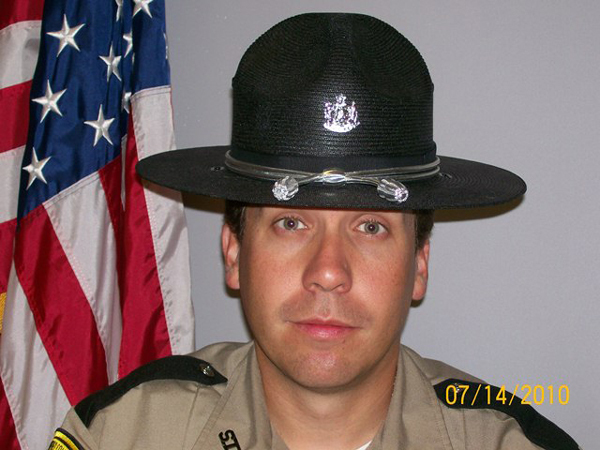 Neagle, who joined the agency as a corrections officer as an 18-year-old in 2001, earned a reputation as a dedicated worker who volunteered for overtime and spent hundreds of hours assisting the Sheriff’s Drug Operations Team, Liberty said. 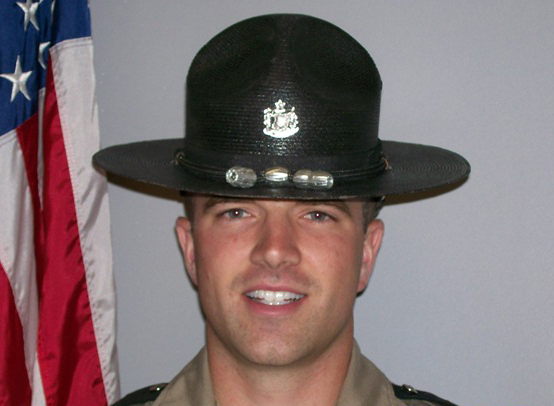 He earned numerous citations of merit before transferring to the law enforcement division in 2003. Since then he has “performed flawlessly” as the commander of the Dive Rescue Team, Special Response Team and as a K-9 handler, Liberty said. Neagle and his dogs, Gib and, since last summer, Draco, have helped find illegal narcotics and tracked fleeing suspects. Neagle and Draco respond to more than 120 calls per year. Liberty said some of the most important calls have been to find people with mental illness that became disoriented and lost. One of those searches occurred in the late afternoon of December 2008. A 14-year-old girl with a mental disability ran away from a home in Readfield without shoes and wearing only light clothing. By the time Neagle and Gib arrived, so many people had been out searching for the girl that her track was badly obscured. Gib spent 45 minutes trying to find the right track. The girl was curled up in a fetal position in the snow, shivering uncontrollably. Her feet were frozen, so Neagle took off his boots and jacket and put them on the girl, and he and Sgt. Christopher Cowan escorted her from the woods. Liberty said Neagle regularly works more than 50 hours per week, but still finds time to be with his family, which includes his wife and two children. * Capt. Marsha Alexander, Medal of Merit, for innovative programming related to the Criminogenic Addiction Recovery Academy. * Sgt. Michael Pion, Law Enforcement Supervisor of the Year, for exceptional commitment and leadership. * Detective David Bucknam, Deputy of the Year, for contributions to criminal investigations. * Sgt. Keith Lachance, Corrections Supervisor of the Year, for exceptional leadership and mentoring. * Corrections Officer Allen McLean, Corrections Officer of the Year, for performance above and beyond requirement and selfless service.